Philadelphia is close to two Carnival Cruise ports. Philly is almost exactly 100 miles from the cruise terminals in Baltimore and Manhattan. We provide the full schedule of departures below. 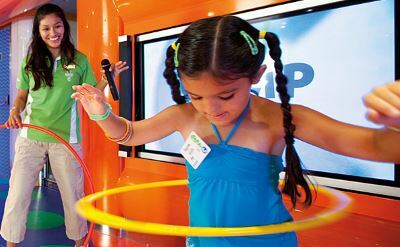 Carnival Cruise Line offers "fun ship" cruises. They appeal to families with small children because of the extensive youth programs. Carnival also attracts young couples because of their reputation as party boats. The Carnival cruises out of Baltimore and New York are within an easy drive of Philadelphia. See Carnival Glory videos. It's the entertaining way to learn more about a ship. 7-day cruises to the Bahamas on Carnival Pride. Round-trip cruise from Baltimore to Princess Cays (Bahamas), Nassau (Bahamas) and Freeport (Bahamas). 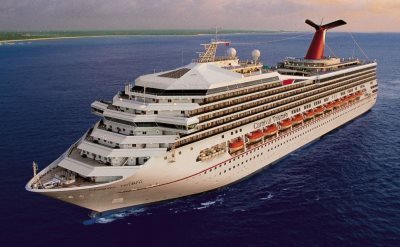 7-day cruises to the Bahamas & Caribbean on Carnival Pride. Round-trip cruise from Baltimore to Grand Turk (Turks & Caicos), Half Moon Cay (Bahamas) and Freeport (Bahamas). 7-day cruises to the Bahamas & Caribbean on Carnival Pride. Round-trip cruise from Baltimore to Grand Turk (Turks & Caicos), Princess Cays (Bahamas) and Freeport (Bahamas). 4-day cruises to Bermuda on Carnival Triumph. Round-trip cruise from New York to King's Wharf (Bermuda). • 2019 departures: June 20, July 18, August 15, September 12. 7-day cruises to Bermuda on Carnival Pride. Round-trip cruise from Baltimore to King's Wharf (Bermuda). 4-day cruises to Bermuda on Carnival Sunrise. Round-trip cruise from New York to Kings Wharf (Bermuda). • 2020 departures: May 21, June 11, July 2, July 23, August 13, September 3, September 24, October 15. 4-day cruises to Bermuda on Carnival Radiance. Round-trip cruise from New York to Kings Wharf (Bermuda). • 2020 departures: July 16, August 6, August 27. 6-day cruises to Bermuda on Carnival Radiance. Round-trip cruise from New York to Kings Wharf (Bermuda). • 2020 departures: August 31. 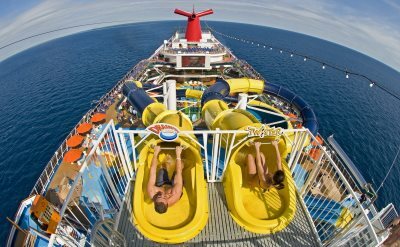 8-day cruises to the Caribbean on Carnival Triumph. Round-trip cruise from New York to Grand Turk (Turks & Caicos), San Juan (Puerto Rico) and Amber Cove (Dominican Republic). • 2019 departures: July 2, July 10, August 7, August 27, September 4. 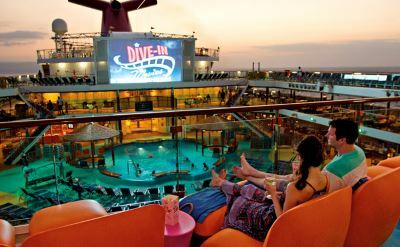 8-day cruises to the Caribbean on the Carnival Triumph. Round-trip cruise from New York to San Juan (Puerto Rico), St Thomas (US Virgin Islands) and Grand Turk (Turks & Caicos). • 2019 departures: July 22, August 19. 10-day cruise to the Caribbean on the Carnival Triumph. Round-trip cruise from New York to San Juan (Puerto Rico), Tortola (British Virgin Islands), St Maarten, St Thomas (US Virgin Islands) and Grand Turk (Turks & Caicos). • 2019 departure: June 10. 14-day cruise to the Caribbean on Carnival Pride. Round-trip cruise from Baltimore to St Croix, Antigua, Martinique, Barbados, St Maarten, Puerto Rico and Grand Turk. 14-day cruise to the Caribbean & the Panama Canal on Carnival Triumph. Round-trip cruise from New York to Grand Turk (Turks & Caicos), Grand Cayman (Cayman Islands), Limon (Costa Rica), the Panama Canal and Half Moon Cay (Bahamas). • 2019 departure: May 27. 8-day cruises to the Caribbean on Carnival Sunrise. Round-trip cruise from New York to Amber Cove (Dominican Republic), Grand Turk (Turks & Caicos) and Half Moon Cay (Bahamas). • 2020 departures: June 3, June 24, July 15, August 5, August 26, September 16, October 7. 8-day cruises to the Caribbean on the Carnival Radiance. Round-trip cruise from New York to Amber Cove (Dominican Republic), Grand Turk (Turks & Caicos) and Half Moon Cay (Bahamas). • 2020 departures: July 29, August 19. 8-day cruise to the Caribbean on the Carnival Radiance. Round-trip cruise from New York to Grand Turk (Turks & Caicos), San Juan (Puerto Rico) and Amber Cove (Dominican Republic). • 2020 departure: July 8. 14-day cruise to the Caribbean on Carnival Pride. Round-trip cruise from Baltimore to Grand Turk (Turks & Caicos), Aruba, Curacao, Martinique, St Kitts and Tortola (British Virgin Islands). 14-day cruise to the Caribbean on Carnival Pride. Round-trip cruise from Baltimore to Grand Turk, Aruba, Curacao, Barbados, St Lucia and St Maarten. • 2020 departure: November 1. 7-day cruises to Canada & New England on Carnival Triumph. Round-trip cruise from New York to Boston, Portland (Maine), Saint John (New Brunswick) and Halifax (Nova Scotia). • 2019 departures: September 22, October 6. 4-day cruises to Canada & New England on Carnival Radiance. Round-trip cruise from New York to Saint John (New Brunswick). • 2020 departures: June 25. 7-day cruises to Canada & New England on Carnival Radiance. Round-trip cruise from New York to Boston, Portland (Maine), Saint John (New Brunswick) and Halifax (Nova Scotia). • 2020 departures: September 6, September 13, September 20, September 27, October 4. 9-day cruises to Cuba & the Bahamas on Carnival Sunrise. Round-trip cruise from New York to Havana (Cuba), Half Moon Cay (Bahamas) and Nassau (Bahamas). • 2020 departures: May 25, June 15, July 6, July 27, August 17, September 7, September 28. 9-day cruises to Cuba & the Bahamas on Carnival Radiance. Round-trip cruise from New York to Havana (Cuba), Half Moon Cay (Bahamas) and Nassau (Bahamas). • 2020 departures: June 29, July 20, August 10. 12-day cruise to the Panama Canal on Carnival Sunrise. One-way cruise from New York to Fort Lauderdale (Florida). Visit Grand Turk (Turks & Caicos), Limon (Costa Rica), the Panama Canal (partial transit), Cartagena (Colombia) and Grand Cayman (Cayman Islands).